The dog friendly trails are accessed via Gilgan Pit Road (about 1.9 km south of the ski club entrance on Highway 35 – at the top of Hopper’s Hill). The trail starts at the parking lot – 1.3 km from the highway. There is ample parking and an outhouse is available at the start of the trail. Please take the time to acquaint yourself with the trail use guidelines posted there. 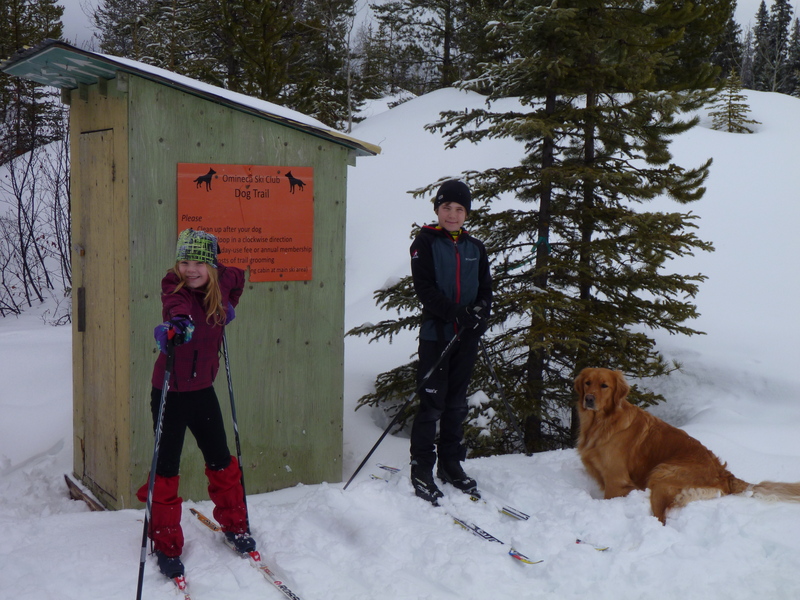 Please always keep your dogs close to you when skiing on the Spud Road system as there is an active trapline in close proximity to the trail.